Renee Stout, Black Wall, 2008, Acrylic, mixed media, glass bottles on wood panel, 39" x 42.75" x 4.5"
Renee Stout, Roots and Readings, 2013, acrylic paint, spray paint and latex paint on panel, 48" x 36"
Sylvia Sleigh, October, 1974, oil on canvas, 40" x 40"
Betty Parsons, Blocks, c. 1965, oil on wooden blocks, 5.5" x 11.5"
Betty Parsons, Untitled, 1956, Gouache on paper, 21.5" x 29"
Loretta Dunkelman, Naoussas Series, For a Female Warrior, 1973, oil-wax chalk on paper, 7 1/7" x 10 1/4"
Pat Lasch, Untitled (Yaddo 1), 2016, acrylic paint, 6" x 6" x 6"
Pat Lasch, Melinda, 2014, acrylic paint and beads, 21" x 14" x 2"
Building on our ongoing program, Accola Griefen will highlight a selection of historically significant women artists of the 20th and 21st century in their booth at CONTEXT Art Miami. 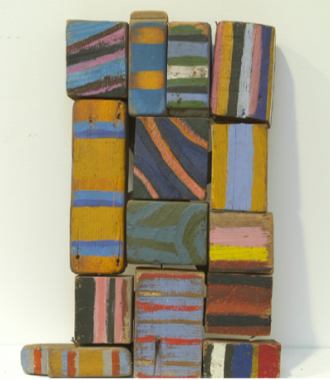 Renee Stout's work will be featured in a Special Project at the entrance to the fair. Stout grew up in Pittsburgh and received her B.F.A. from Carnegie-Mellon University in 1980. 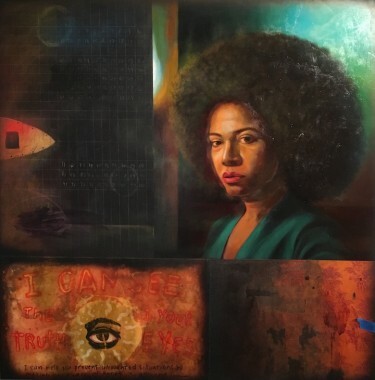 Originally trained as a painter, she moved to Washington, D.C. in 1985 where she began to explore the spiritual roots of her African American heritage through her work and eventually became the first American artist to exhibit in the Smithsonian’s National Museum of African Art. 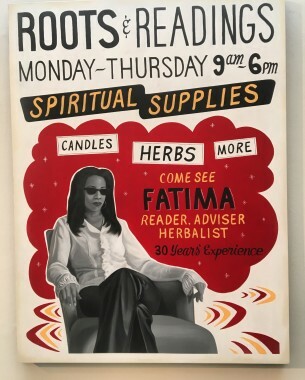 Inspired by the African Diaspora, as well as everyday life in her DC neighborhood and current events, she employs a variety of media, including painting, drawing, mixed media sculpture, photography and installation in an attempt to create works that encourage self-examination, introspection and the ability to laugh at the absurdities of life and ourselves. Her traveling museum exhibition, Tales of a Conjure Woman, which originated at the Halsey Institute of Contemporary Art, College of Charleston, SC was accompanied by a major monograph and was named one of the top 10 exhibitions of 2015 by Hyperallergic. Loretta Dunkelman’s paintings and works on paper combine minimalist forms with subtle, rich and often painterly surface layering. Dunkelman is a founder of A.I.R. Gallery, the first women’s gallery in the United States where she had 6 one-person shows between 1972 and 1987. Her work has been featured in a number of important museum exhibitions: the 1973 Whitney Biennial and American Drawings at the Whitney; the city-wide multi-site exhibition, Women Choose Women; and On Surface at the Katonah Art Gallery. 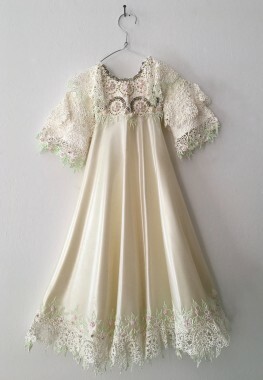 Our booth will feature works from the 1970's and 1990's. 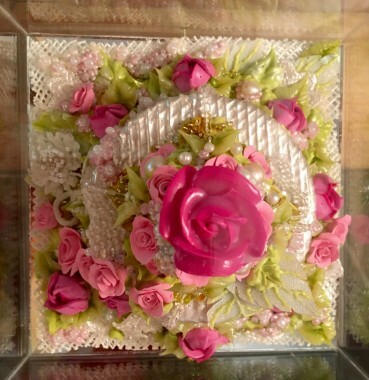 Pat Lasch, the daughter of a German pastry chef who was tutored in pastry decoration herself, has become best known for her miniature sculptures resembling confections examples of which are also held in many museum collections including the Museum of Modern Art (MoMA) in New York. 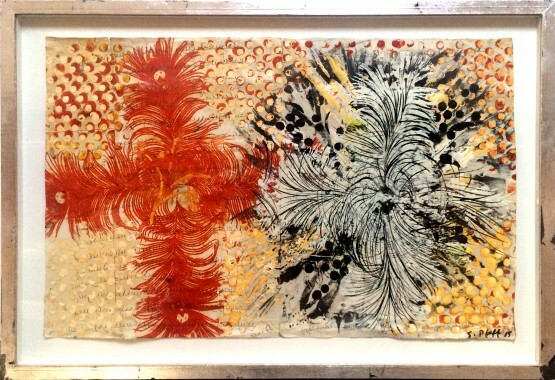 Accola Griefen will exhibit some of her most famous works, cakes and petit fours, constructed from acrylic paint. Work courtesy of Meredith Ward Fine Art. 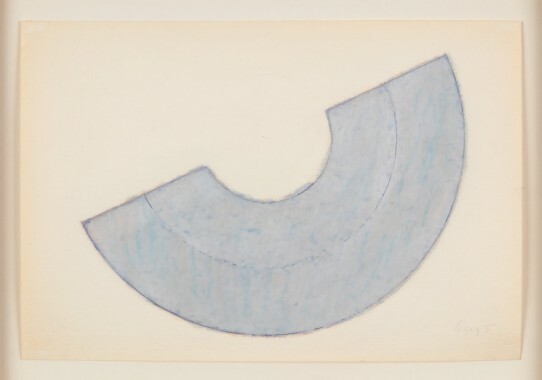 Accola Griefen will highlight the work of Judy Pfaff, who, since the 1970’s has been broadly acclaimed for her pioneering work in the genre of installation as well as sculpture and richly layered works on paper. Both of the later materials/genres will be represented in Accola Griefen’s booth. Pfaff has received many awards, including one of the highest honors possible, the MacArthur Foundation “Genius” Award. 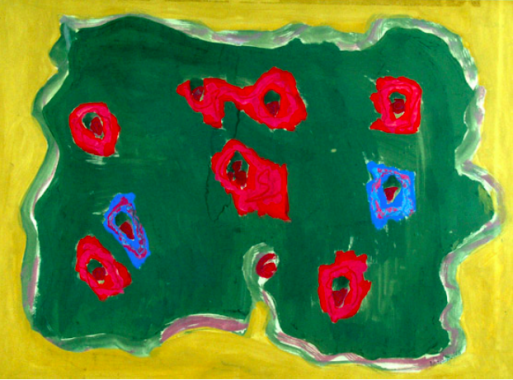 Betty Parsons (1900-1982) was both a forward-thinking art dealer, formative champion of Abstract Expressionism and an accomplished artist in her own right who created a form of abstraction that was in-line with the great artists of her day while unique in format and approach. Her work may be found in numerous public collections, including the Parrish Art Museum, Southampton, New York; The High Museum, Altanta, Georgia; the Whitney Museum of American Art, New York; and the Smithsonian American Art Museum, Washington, D.C.
Sylvia Sleigh (1916 -2010) was a Welsh-born naturalised American and important Feminist realism painter. 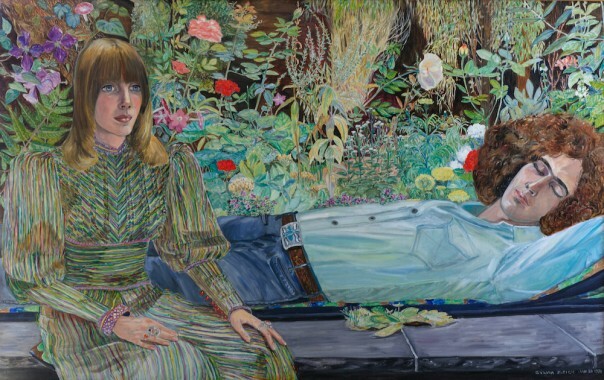 In 1970, from feminist principles, she painted a series of works reversing stereotypical artistic themes by featuring men in poses that were traditionally associated with women. Of her work she wrote " I like to portray both man and woman as intelligent and thoughtful people with dignity and humanism that emphasizes love and joy." For her sensitivity to the humanity of her figures, her paintings have been compared to those of Alice Neel in the New York Times. 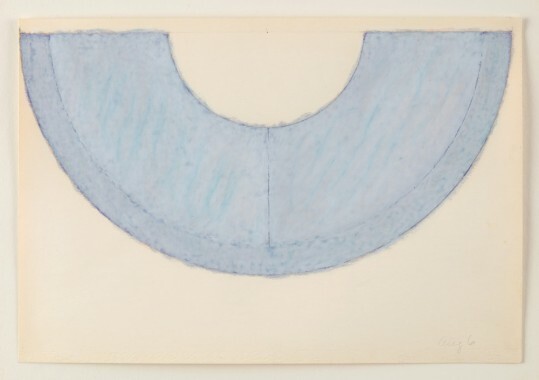 Sleigh’s work is held in many important collections including the National Portrait Gallery, London; The Art Institute of Chicago, Chicago, IL; National Museum of Women in the Arts, Washington, DC; Portland Art Museum, Portland, OR and Weatherspoon Art Museum, and the University of North Carolina, Greensboro, NC.